Ever since the supermoon that occurs approximately every 70 years was expected yesterday, people from around the world are sharing photos of the supermoon. How could King Khan stay away from it? 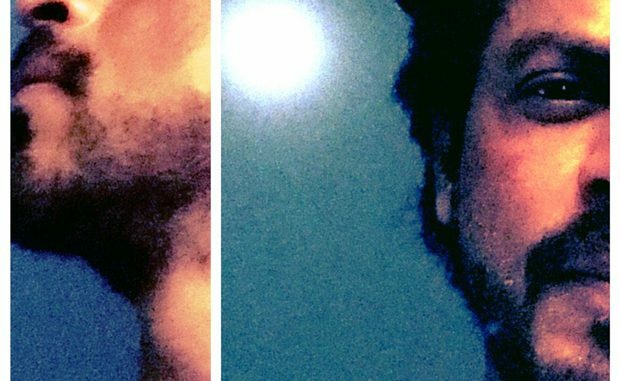 Shah Rukh Khan shared a selfie capturing the supermoon in the background and wrote, “The supermoon hangs big and bright…hiding as always it’s darker side…” SRK is seen sporting a stubble in the selfie. On the work front, Shah Rukh Khan is gearing up for Gauri Shinde’s directorial venture Dear Zindagi which is slated to release on November 25, 2016.